No one knows coastal Maine real estate like we do. 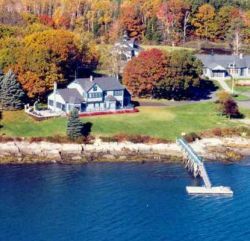 We make it easy for you to fulfill your dream of owning property on or near the coast of Maine. We're your coastal Maine real estate advisors. We'll help you locate just the right property and guide you safely—and wisely—through the negotiation and acquisition of your real estate purchase. 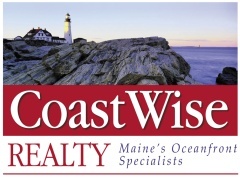 Put our years of coastwise knowledge and experience representing Maine's home buyers to work for you. Call us tooday to discuss your search at: 800-293-4416. "Lots to do & see plus many healthy senior activities..."
Before he retired, Sam Saltonstall, now 67, was a Connecticut schoolteacher. At least, that was his day job. But as he soon as he could get out of the classroom, Saltonstall and wife, Linda, 63, would always head for open waters. 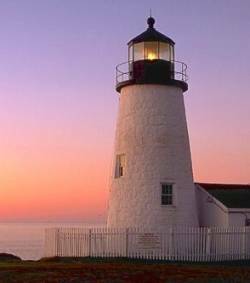 So, given their love for sailing, it was only natural that the couple looked to the New England coast for the perfect place to retire. It took them some time. Like more and more retirees, Saltonstall cares about being fit, and his life on Peaks and in Portland proper (he and Linda moved to the city in 2002 before decamping to the island last year) has made it easy to exercise. In the spring, summer, and fall, everything about Portland—the close-in beaches, Casco Bay's 200-plus islands, nearby mountains, and miles of hiking and biking trails—lures people outdoors. On the mainland, residents and visitors alike walk, bike, and cross-country ski Portland's abundant downtown parks and an unusually well-developed urban trail system; hiking on the eastern and western "Proms," trails that lead to the shore on both sides of this city built on a peninsula, is a popular pastime. Green living. Though Saltonstall calls himself a "die-hard environmentalist," his effort to live carless isn't unusual in Portland, which Organic Gardening magazine recently named one of the greenest cities in the nation. Portland residents pride themselves on their compact, walkable city, which, like Boston some 100 miles to the south, was built before the automobile. For local travel, Portland runs a well-regarded public transit system. To go farther afield, more and more residents rely on Amtrak's Downeaster route to Boston. And a nonprofit called Portland Green Streets encourages people to leave their cars at home on the last Friday of each month. "People are finding ways of living their lives without the automobile and finding ways to reduce our carbon footprint," says Dave Marshall, an artist and Portland city councilor. Barbara Doughty, 65, moved here from Des Moines five years ago with her husband. She finds both exercise and companionship at Lifeline, an affordable, comprehensive wellness program offered by the University of Southern Maine. "The people who work out here are great," she says, panting as she pedals an exercise bike. There are more than 60 offerings—from gyms to yoga to Pilates—within 5 miles of the university, says fitness manager Peter Allen. Of course, a healthy city doesn't just tend to the body—it also tends to the heart and mind. This fall, nearly a thousand people 50 and over have joined the University of Southern Maine's Osher Lifelong Learning Institute, which offers academic courses to seniors for a tiny fee. And Doughty enthuses about Portland's art museum, orchestra, and two repertory theaters. "Portland," says Doughty, "is like Boston without the hassles." But if it's up to Sam Saltonstall, all of the new retirees will head south to that other walkable Yankee city.